It’s a reMarcable all-new episode of the Real Housewives of Atlanta tonight at 8/7c. Tyrone makes an exciting proclamation to Shereé, while her daughter comes home from college and grills her about the romance. After her abrupt exit from Barcelona, Porsha blows off some steam with Rickey Smiley. 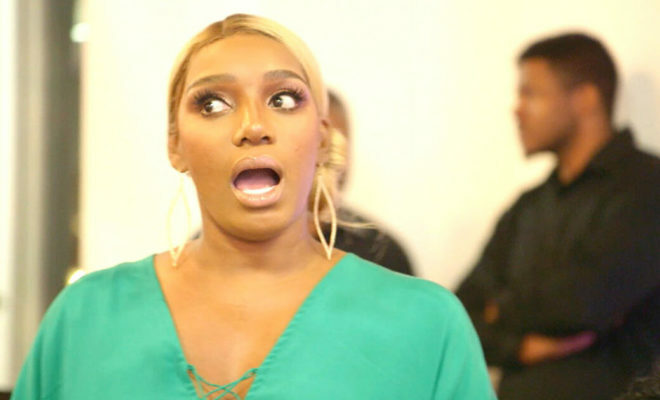 Kandi worries that dropping NeNe from the Xscape Tour will cost them their friendship, while NeNe teaches her son Brentt to learn from her mistakes. Kenya returns to Atlanta to screen her domestic violence PSA, and a surprise guest shuts down the haters for good. Watch an exclusive preview below. Don’t miss RHOA only on Bravo.